Lipitor is the trade name of atorvastatin, a drug used to reduce blood cholesterol levels. Lipitor also commonly tops the list of the best selling brand name drugs in the world, and is regularly promoted to Americans through television and radio commercials as well as other forms of advertisements. Since it was first introduced in 1996, sales of Lipitor have reached over $125 billion. The Parke-Davis Warner-Lambert Company was the first to synthesize Lipitor in 1985. That company is now owned by Pfizer, who manufactures Lipitor today. Generic versions of atorvastatin also became available in 2011 in the USA, when Pfizer’s patent on Lipitor expired. As part of a group of drugs known as “statins,” Lipitor works to reduce cholesterol by blocking a liver enzyme called HMG-CoA reductase. It is recommended for use along with a healthy diet to help reduce levels of LDL and triglycerides (otherwise known as “bad” fats), and raise levels of HDL (“good” cholesterol). For this reason, Lipitor is often used to decrease the risk of heart disease and to help prevent strokes and heart attacks. However, most doctors will recommend Lipitor only after other measures of cholesterol management such as diet, exercise, and weight reduction have been exhausted. By blocking HMG-CoA reductase, Lipitor can decrease the amount of fatty cholesterol that builds up on a patient’s artery walls. These types of arterial blockages can block blood flow to the heart, brain, and other parts of your body. 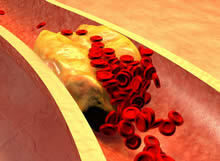 It is for these reasons that Lipitor is used as an agent to fight heart disease and other heart conditions. However, while Lipitor use can lead to the benefits mentioned above, Lipitor is also associated with a large number of negative side effects, and has been known cause long-term health damages. In addition, medical studies have further proven the dangers of Lipitor, and the FDA has also issued warnings against Pfizer due to these dangers. In February 2012, the FDA became aware of studies that linked statins to hyperglycemia, or high blood sugar, as well as diagnosis of type two diabetes. In reaction, the FDA ordered all statin manufacturers including Pfizer to change their labels in order to warn healthcare professionals of these risks. While it is treatable, type two diabetes is a chronic condition that can lead to further severe health risks. Despite the fact that many of the side effects of Lipitor are well-known because they are mentioned in advertisements for the product, many individuals continue to take the drug because it is prescribed by doctors. If you have been diagnosed with type two diabetes, and feel that the diagnosis could be linked to Lipitor use, contact Bruce Hagen for advice on pursuing a class action suit against Pfizer. Additionally, if you or a loved one has suffered other health damage due to the many adverse effects of Lipitor, Bruce Hagen can help you to seek substantial recovery. The attorneys at the Atlanta law firm of Bruce Hagen are experienced Lipitor class action attorneys. Bruce Hagen is a trial attorney experienced in Lipitor litigation who can provide you with the best options and legal advice on how to pursue your claim against Pfizer.